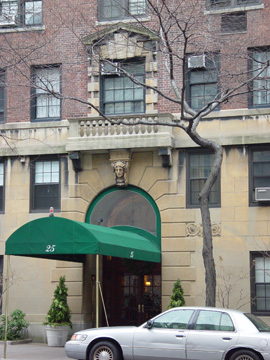 This very handsome apartment building was erected in 1928 and designed by Cross & Cross. 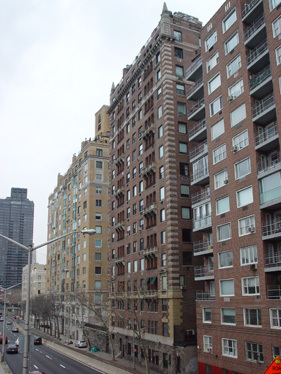 The 15-story building, which is one of the most attractive on East End Avenue, used to also front on Marie Curie Avenue, which was removed to accommodate the FDR Drive. The building has a two-story stone base and is distinguished by its bold quoins and finials. It has many balconies facing the river. 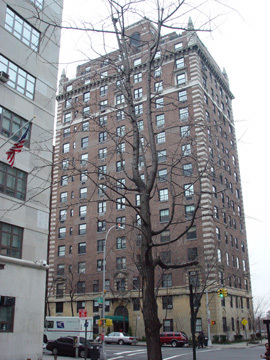 The building's elegance led to the erection the following year of 1 East End Avenue on the block just to the south on an trapezoidal site that is only 29 feet wide at the south end, where there is an entrance to the FDR Drive. 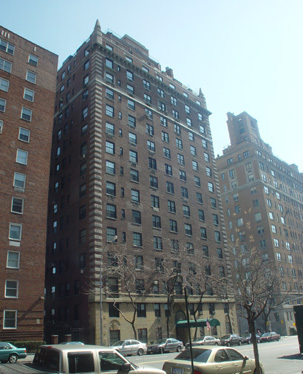 The two buildings complement one another very well and had the Depression not intervened might have led to the creation of one of the city's most impressive residential avenues. The southern terminus of East End Avenue is the full-block model tenement project known as City & Suburban Homes.